The housing market in the UK remained subdued in March as Brexit continued to affect sentiment and with leaving the European Union now delayed, the lack of momentum is expected to remain. 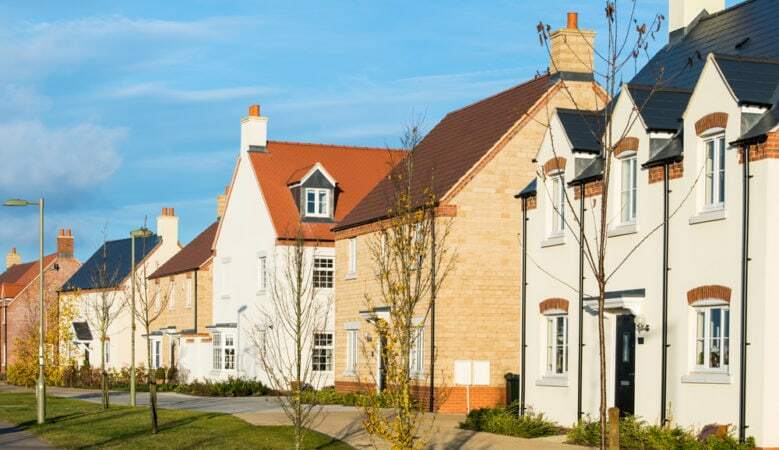 Demand from buyers remained in negative territory in March and sales and new property coming on to the market continued to decline, according to the latest residential market survey from the Royal Institution of Chartered Surveyors (RICS). Respondents still envisage a modest improvement in activity 12 months ahead but modest fall in house prices at a UK level are expected over the next couple of quarters, although the regional picture remains mixed. As buyer interest declines, respondents reported a net balance fall of 24% in agreed sales but there is a little optimism, with sales anticipated to rise over the course of the next year. But the ongoing decline in new instructions and new property coming on to the market continued, having become progressively weaker in each of the past four surveys, falling from the net balance of -20% in December, to -30% in March. Looking at prices, some 24% of respondents saw a decline rather than rise in prices at a headline level in March. This measure was -27% in February and, although this does end a streak of eight consecutive months of declining responses, the report points out that the measure as a lead indicator is still pointing to a modest fall in house prices at the national level over the next couple of quarters. In the lettings market, demand from tenants continued to rise for a third successive month while landlord instructions slipped further. On the back of this, contributors are pencilling in rental growth of approximately 2% over the coming year. ‘Brexit remains a major drag on activity in the market with anecdotal evidence pointing to potential buyers being reluctant to commit in the face of the heightened sense of uncertainty,’ said Simon Rubinsohn, RICS chief economist. ‘Whether any deal provides the shift in mood music envisaged by many respondents to the survey remains to be seen but as things stand, there is little encouragement to be drawn from key RICS lead indicators. We expect transactions to decline on this basis,’ he pointed out. ‘Arguably more significant still are the signs that developers are continuing to adopt a more cautious stance with the trend in new residential starts now flat lining. Against this backdrop, there is little possibility of delivering the uplift in supply necessary to address the ongoing housing crisis,’ he added. However, Gary Barker, chief executive officer of Reapit, is expecting an increase in buyer activity over the next quarter. ‘People have become tired of waiting for a Brexit outcome, although the decline in buyer appetite outlined in the RICS report shouldn’t be overestimated,’ he said. There are many other factors affecting the London market, including the significant increase in overall stamp duty, increased stamp duty for foreign buyers and the economic predictions that the capital prices are reducing,’ he explained. ‘It’s worth noting that foreign buyers are increasingly snapping up UK property, but in Northern cities like Manchester where investment returns are seemingly easier to achieve,’ he added. According to Adrian Moloney, sales director of OneSavings Bank, there seems to be clear message from buyers that purchase decisions are on hold until there is more certainty within the market, particularly on the UK’s position following Brexit. ‘However, there are still key issues within the market that need addressing which have largely been overshadowed. Indeed, we still have clear supply and demand problem, leading to higher prices, frozen property chains, and limited home ownership for younger generations,’ he said. ‘The latest research suggests that first time buyers now need to save for 10 years for a house deposit. Steps have been taken recently to address the supply/demand imbalance, including the Chancellor committing £3 billion extra to deliver 30,000 new affordable homes, but more needs to be done to ensure we are meeting these targets in order to create any real impact to the market,’ he added.